Standing Bear could soon make a larger-than-life appearance on a stretch of the renovated Centennial Mall. 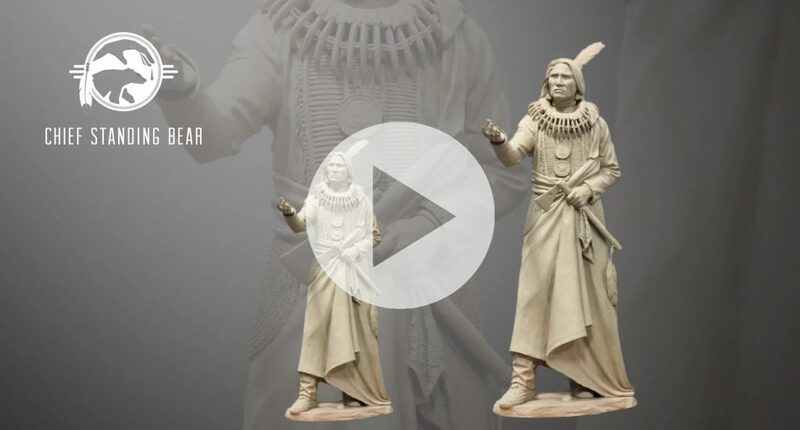 A 9-foot sculpture of the renowned Ponca chief, being eyed for an alcove on the mall between P and Q streets, would rival the State Capitol’s bronze Abraham Lincoln in stature. A private donor has agreed to foot the bill for the sculpture, which would face Andersen Hall, home of the University of Nebraska-Lincoln College of Journalism and Mass Communications. 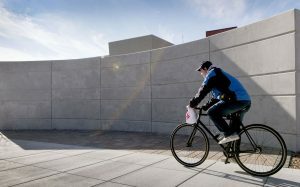 The proposal, still in its early stages, drew nods of approval Thursday from members of the Nebraska Capitol Environs Commission. “I think, by now, Standing Bear has become embraced and respected as a human rights leader that preceded Martin Luther King,” said Judi gaiashkibos, director of the Nebraska Commission on Indian Affairs. In 1877, Standing Bear led his people on a march to Oklahoma after the federal government forced them from their homeland in northeast Nebraska. He later returned to Nebraska to honor his dying son’s wish to be buried along the Niobrara River and was captured by the Army. He was allowed to fight for his freedom in court, and his 1879 trial led to him becoming the first Native to be legally recognized as a person. Don Campbell, whose family owned Lincoln’s Miller & Paine department store, offered to pay for a statue honoring Standing Bear about two years ago, said gaiashkibos, who is coordinating the project. She also selected the artist, Ben Victor, a professor of practice at Boise State University who has two pieces in the U.S. Capitol’s National Statuary Hall Collection. His piece titled “The Victor” depicts a football player and was installed at Peru State College last year.